Oh my, I love this. Viva la Mexico. This is like a cocktail in a granita form. So refreshing, I love the tequila in it, just don't be tempted to add more, as alcohol won't freeze if too much is added. If you don't have tequila, buy it, just kidding, you can make it with vodka, Cointreau or white rum. It is visually beautiful, the colour so nice. Serve it with some segments of orange, divine. This would be a great end to a Sunday lunch on a hot summers day. In a small saucepan add the sugar and water. Using a vegetable peeler , thinly peel the rind from three of the oranges and place it in the saucepan. Over low-medium heat bring it to the boil, but don't actually let it boil. Stir until the sugar is dissolved. Once the sugar has dissolved pour into a glass bowl, allow to cool, then chill. Strain the syrup into a shallow plastic container that has a lid. Squeeze all the oranges, strain the juice and add it to the syrup, stir in the tequila. You don't want the syrup to be more than 2.5cm deep as it will not set properly. Transfer to a larger container if needed. Cover and freeze for 2 hours until the mixture around the sides of the container has started to set and thicken. Using a fork give it a good mix, scraping the sides of the container. 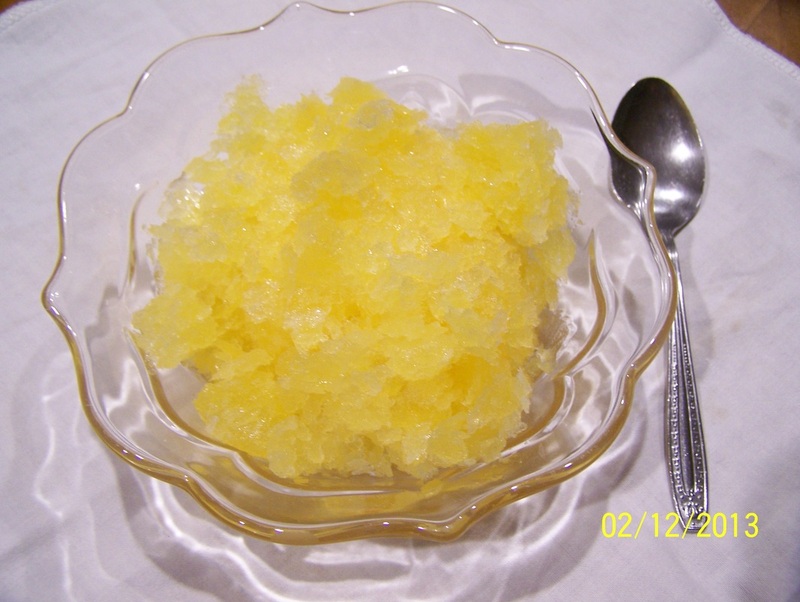 Return the granita back to the freezer. Now every 30 minutes to an hour you will need to mix the granita with a fork, until you get ice crystals forming throughout the granita. Stop when you are happy with the consistency of the granita. Scoop it into serving bowls, serve with orange and lime wedges.